Huddersfield coach Simon Woolford was over the moon with his side’s effort in their narrow defeat to Wigan. 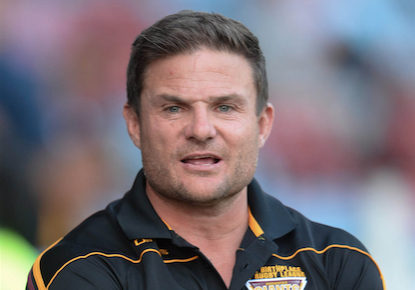 The Giants went down to a slender 13-6 defeat to the Warriors in the penultimate game of the Super 8s at the John Smith’s Stadium on Thursday evening. Huddersfield had nothing to play for in the game, with the top four for the semi-final play-offs already being decided before the game kicked-off. But Woolford was proud of his side and spoke highly of their effort after the game. He said: “The effort from the boys was fantastic. That is the effort we need week in, week out. “You could see that we were down on personnel and our attack wasn’t quite where it was a few weeks ago. Our combinations were lacking a bit. “We have let ourselves down with our effort in the last couple of weeks but we said at half-time that we would make sure that our effort wouldn’t fade out today and we put ourselves in a position to win the game so I am really proud of the players. Woolford arrived at Huddersfield late in May and has impressed in his time with the West Yorkshire club so far, winning eight games. With this season being all but over, Woolford says he is excited to get stuck into his first full season with the Giants in 2019. He added: “The guys are really looking forward to having a break and then getting back and having a tough pre-season. “A lot of clubs were affected by the World Cup last year and that had affected a lot of pre-seasons but I think the players are relishing the fact that we are going to have a tough pre-season. Huddersfield play their final game of the campaign next Saturday when they travel to Perpignan to face Catalans Dragons in what will also be Ryan Hinchcliffe’s last ever match before he hangs up his boots.